Was the President telling his supporters not to stick out their tongues in derision, to mock those who had fought a bitter, if not acrimonious electoral war? Is all not fair in love and war again? Surely, the millions of Buhari supporters were raring to do the Dino Melaye stuff, open their eyes to the widest, and say ntorrrrr, or oooobiiii, to those who just lost the election. But the President said; no, please don’t do it. They are your brothers and sisters. So dissatisfied with the instruction was one of the President’s greatest online supporters, that she was ready to start a rebellion on Facebook. Jewel Ifunnaya is a dyed-in-the-wool Buharist. She loves the President to the marrows, and proclaims it from the rooftops anytime. But on Wednesday morning, she was almost embarking on civil disobedience. She kicked like a wild horse, querying why the President must tell her not to gloat, when she was ready to embark on a gloating party against the Atikulators (as the online supporters of Alhaji Atiku Abubakar, the greatest challenger in the presidential election, are called). I read the protest by Jewel, and appealed to her to respect the wishes of our principal. She then agreed. Jumping Jehoshaphat! What generosity of spirit from the President. This was time to preen like the peacock, swagger like a man of war just returning from battle, hunch up your shoulders in pride, and tell the members of opposition to hug the nearest electricity transformer, if they were not happy. But President Buhari chose to play the true father. What an enduring lesson. I know one of his predecessors in office, who would never have done that. When that man was president, and he won re-election despite the fact that university lecturers had been on strike for many months, he came out after the polls to say he had broken the back of ASUU (Academic Staff Union of Universities) irredeemably. That same predecessor was publicly opposed to President Buhari running for a second term in office, and had engaged in a campaign of calumny both locally and internationally for more than a year, and if he had been the one who won at the polls, gloating would have been endless. But our political hero said: don’t gloat. This reminds me of a story I’d told in a piece I did in 2017, when President Buhari just came from medical vacation. Permit me to repeat the story, as it is quite germane. In 1998, when the country was groaning under the jackboot of Gen. Sani Abacha, I was deputy editor of National Concord, a newspaper owned by Bashorun Moshood Abiola, who Abacha held in military gulag for five years. Abiola’s offence was that he sought the actualisation of a mandate freely given to him by 14 million Nigerians to be president in an election held on June 12, 1993. Gen Ibrahim Babangida, then military dictator, had annulled the result without explanation. One bright June afternoon, news wafted out that Abacha was dead. It turned out to be true. Every newspaper house was buzzing with activities, seeking to be the one to report the news with best perspectives the following day. My editor, Dele Alake (later, Commissioner for Information and Strategy in Lagos for eight years) was away, and the lot fell on me to edit the newspaper. I relocated from my office upstairs, to the compugraphy room on the ground floor, where I could treat the stories faster. It was not yet the era of computer then. If anyone would gloat that Gen Abacha was dead, should it not be an Abiola? But my boss said: “Don’t gloat!. And I learnt an eternal lesson about generosity of spirit towards even those who have treated you spitefully and disdainfully. Never gloat if anything untoward happens to them, or you come into a better station in life than them. See how the principalities and powers of Nigeria had arrayed themselves against President Buhari. Some former military rulers and leaders turned themselves into an evil confederacy, acting as if they owned Nigeria. They had always determined who aspired to certain offices in the country, and who should not. They had held the country by the jugular for ages, almost asphyxiating her. But this time, they met their match. The President looked at them straight in the face when they told him not to seek a second term, and told them to pick one: get lost, or go to hell. They chose not to pick any, but rather turned themselves into an opposition force. Formidable they were, but not with a man that had the true army behind him. The ordinary people. So, last Saturday, President Buhari and his peculiar army gave the opposition a bloody nose. The retired generals were not alone. They recruited pliant members of the international community, who had their eyes on a slice of the Nigerian economy, which Atiku had vowed to run along Western principles. Thank God for China, which charted a separate course, saying Nigeria should be left alone to resolve her internal matters without interference. Also with Atiku were many questionable characters, who had questions to answer on what they did to the public treasury, when they had access to it. Nigeria would simply have been done for, if they had regained the levers of power again. The ordinary people fought valiantly behind Buhari. And the impending army of occupation was worsted. Given a drubbing. Yet, no gloating? Very noble. 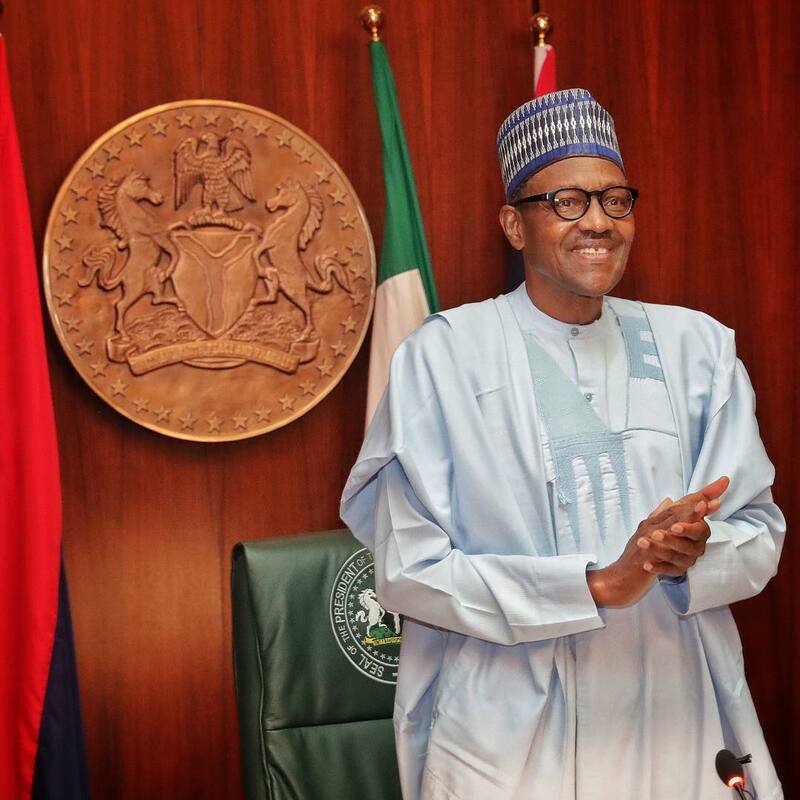 On Wednesday last week, during the Federal Executive Council (FEC) meeting, the President had told members about millions of dollars seized by security agencies at the various entry points into the country: air, land, sea, all towards compromising and manipulating the election. They wanted to buy each and every electorate, and possibly the electoral officers. But the plans were thwarted. The President also told of a more sinister stratagem they had, which I’ll rather keep close to my chest for now. Desperate people. All due to lust for power. Bashorun Abiola used to say you don’t urinate inside a well you would later fetch drinking water from. These ones not only urinated, they also did the ‘big job’ inside the well. But God proved greater. Yet, don’t gloat? Strange and curious. Human dictum is ‘an eye for an eye.’ You don’t brook principalities and powers. Rather, you take the battle to them, and cast them out into the dry desert places. But President Buhari now says an eye for an eye makes the whole world go blind. They don’t seem to make them like this older and less ruthless Buhari anymore. We continue to learn. Sai Baba!